Dear Friends of Russian Blue Cats! for you might bring with us. We are an independent club community of interest and thereby have the ability to determine the course itself. We are one of the largest communities of interest for Russian Blue breed cats. We are a I.G. exclusively for the Russian Blue cat breed. We advise you on everything that the cats – breed “Russian Blue” concerns. We have over 4700 registered cats with one of the largest Russian Blue cats pedigree archives in the world, to advise you professionally in all matters of inheritance. We are also in the search for a suitable stud for your Russian blue girl help. We also help you in finding your Russian blue babies. 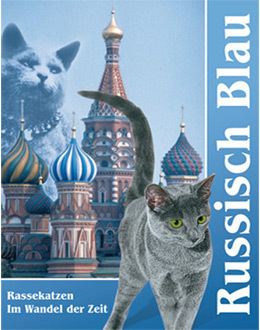 We invite you to the big Russian Blue special shows in Germany, in cooperation with our I.G. be aligned. We report our I.G. Review about everything worth knowing about the Russian Blue. We publish letters, photos and all kinds of reports of all IG Members and friends of the Russian Blue in our I.G. Revue. How about it, you are already a member of our (your) IG?